New construction can be stiff competition for resale homes. In this insightful interview with luxury real estate experts Jared Barnett and Augusto Bittencourt—the dynamic duo behind The Barnett-Bittencourt Team in New York City—discover creative solutions to deal with buyers’ #1 complaint: “It needs too much work.” In this episode, we also discuss actionable advice for luxury real estate buyers and sellers, from avoiding pricing mistakes to winning bidding wars. • A common pricing mistake that sellers are making. • What “comparables” actually are. • How interest rates, tax reform, and new developments are affecting the market in New York. • Strategic marketing approaches to push and sell properties. • How video has made a huge effect on Barnett-Bittencourt’s business. • What it means to create “first-class” marketing materials. • Tips for marketing properties that need renovations. • How mockups, virtual staging, and renderings can help sell dated properties. • Why building rapport with buyers matters. The Barnett-Bittencourt Team at Compass, founded and headed by top-producing brokers Jared Barnett and Augusto Bittencourt, are proud to possess over 15 years of proven success and real estate experience in the NYC market. At their previous firm, from 2013–2017 they consistently ranked among the top 5% of agents by total sales volume. They have broken many sales records for their listings and serve the discerning needs of local and international clientele — from celebrities to CEOs. With unparalleled knowledge of the real estate market, design, development, and architecture, The Barnett-Bittencourt Team is able to offer vital insight to their loyal list of exclusive clients. In addition to their dedication to quality service, clients enjoy working with Jared and Augusto because of their personable, approachable, and optimistic outlook, which brings a unique level of energy to every deal. The Barnett-Bittencourt Team is recognized throughout the industry — being featured on Million Dollar Listings and are sought after consultants for outlets such as Realtor.com, Lending Tree, Property Shark, live radio shows, and podcasts. Whether a developer, first-time buyer, seller, or investor, The Barnett-Bittencourt Team offers the highest level of service and knowledge to every client. 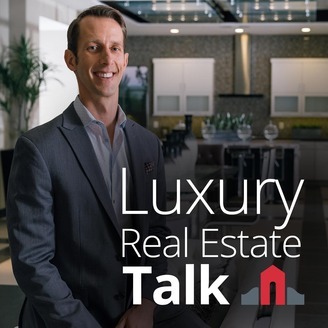 Welcome to Luxury Real Estate Talk, where you get expert advice on buying and selling Luxury Real Estate. Learn from the best and brightest real estate agents, brokers, and other professionals, as they share real-life stories about the art and business of listing, marketing, buying, and selling high-end homes. 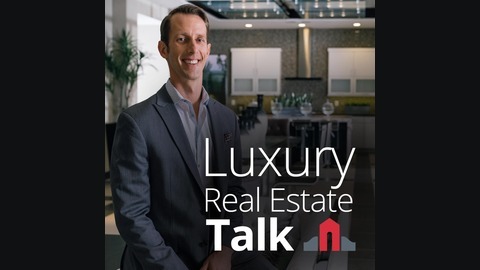 Through casual but insightful conversations, the Talk’s host Rob Jensen will help you master your understanding of the luxury real estate market. Rob is the president and owner/broker of the Rob Jensen Company, which exclusively specializes in working with buyers and sellers in 42 guard gated and select gated communities in Summerlin, Las Vegas, and Henderson, Nevada. Rob's 15 years of local industry expertise have made him a sought after real estate expert source with the media. He’s served as a guest commentator for numerous national broadcast television networks including MSNBC and BRAVO. He has also provided content and commentary to The Wall Street Journal, Forbes.com, BusinessWeek.com, the Las Vegas Review-Journal, Real Estate Executive magazine, Growing Wealth magazine, and the Los Angeles Times, among others. Additionally, Rob has penned a recurring monthly real estate column for the Las Vegas Business Press. Thanks for listening to this podcast! I hope that you keep up with our weekly podcasts, and subscribe.